Steidl, 2011. 112 pp., 116 tritone illustrations, 10½x9". Chris Killip began photographing the people of Lynemouth seacoal beach in the north east of England in 1982, after nearly seven years of failed efforts to obtain their consent. During 1983 to 1984 he lived in a caravan on the seacoal camp and documented the life, work and the struggle to survive on the beach, using his unflinching style of objective documentation. Fifty of the one hundred and twenty four images published here, were first shown in 1984 at the Side Gallery in Newcastle and others were an important element of Killip’s ground-breaking and legendary book In Flagrante, published four years later. 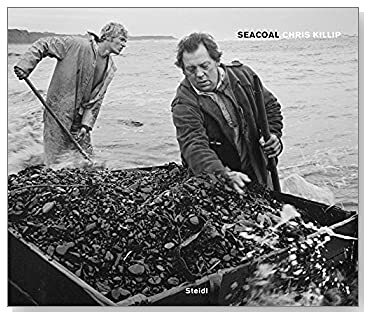 Read Colin Pantall's review of Seacoal in photo-eye Magazine.